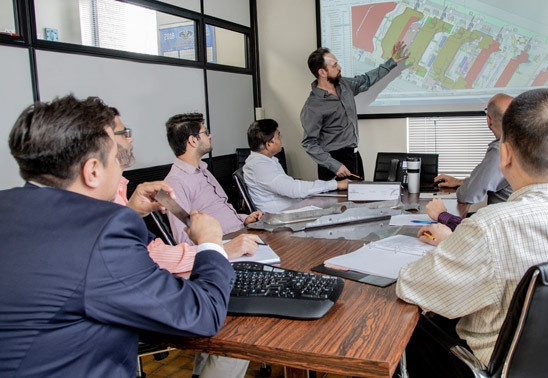 Metrican's experienced design team provides our clients with a highly standardized tool design system that supports the manufacturing process. Our engineers and technical support staff provide the optimal stamping process to ensure delivery of a superior tool with quality finished parts. A dedicated team of high experienced in-house designers using NX software. Complete 3D design using customized proprietary design software. Seamless integration of design with CNC processes. Full forming simulations stations to predict and compensate for forming, thinning, compression, spring-back, part quality. Complete simulation of transfer mechanisms and all moving components during design. Highly structured design and review processed throughout the tool build with database tracking. Full client integration during the design phase through online, live, tool reviews. Full electronic tracking of all die components from design, order, reception and build. Direct acceptance of Catia models, plus all other standard CAD interface files.